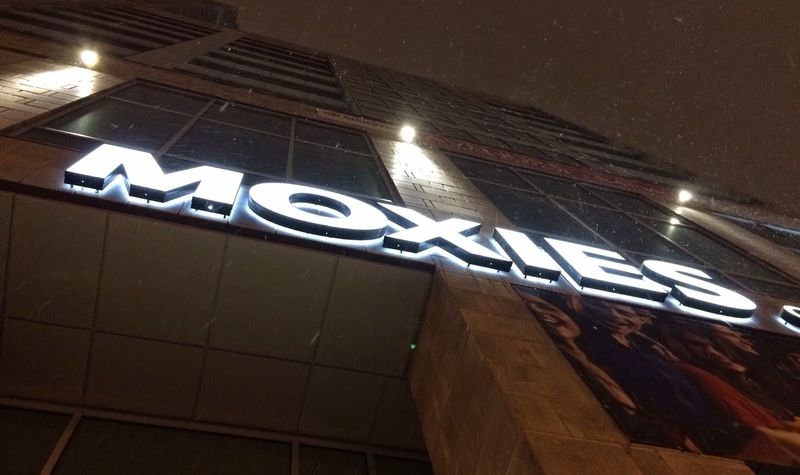 We went to Moxie's, a Canadian casual dining restaurant chain founded in Calgary, in 1986, and there're over 60 locations in Canada. 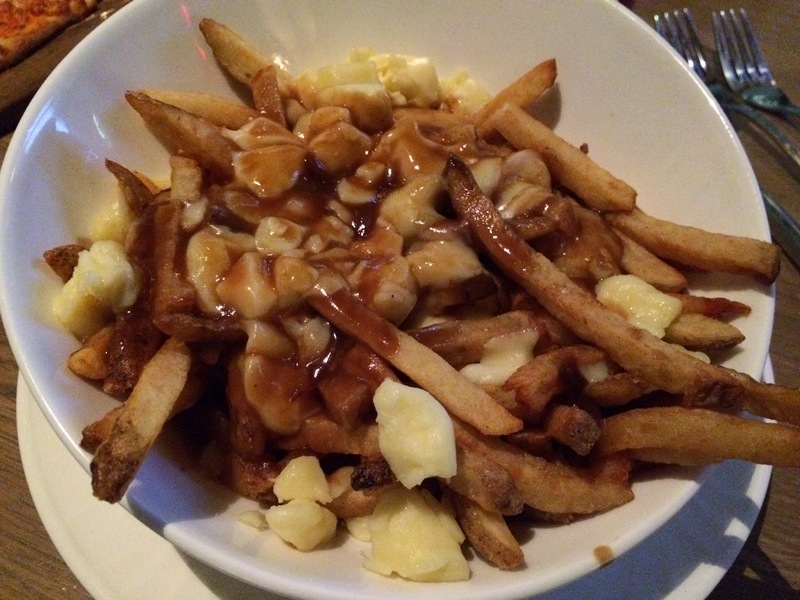 They opened Montreal branch this spring, and it's my first time to visit there. 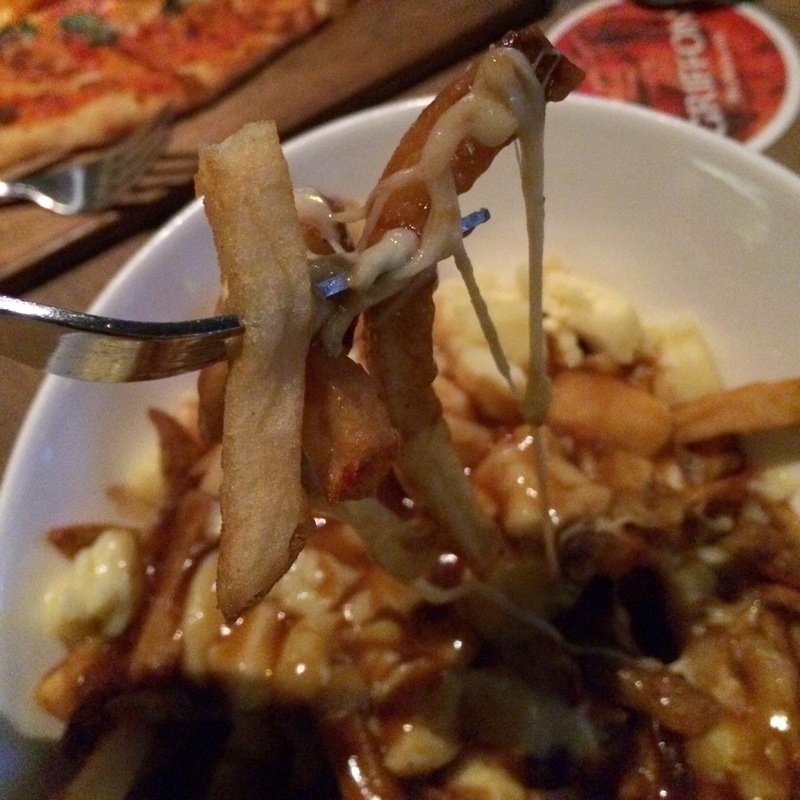 I knew what to get; poutine, but of course looked through the menu. There're some tasty looking cocktails and I rarely drink (these years, less than 5 times a year, and not even being able to finish a glass) but I decided to try one. The one I wanted to try was "Raspberry Kiwi Crush" but they didn't have kiwi puree so that I couldn't get one, so instead, I ordered "Margarita" with strawberry and other choices were mango, raspberry or lime. As I don't drink and only have specific kinds, I had no idea what "Triple Sec" was, and it's a type of orange flavored liqueur. 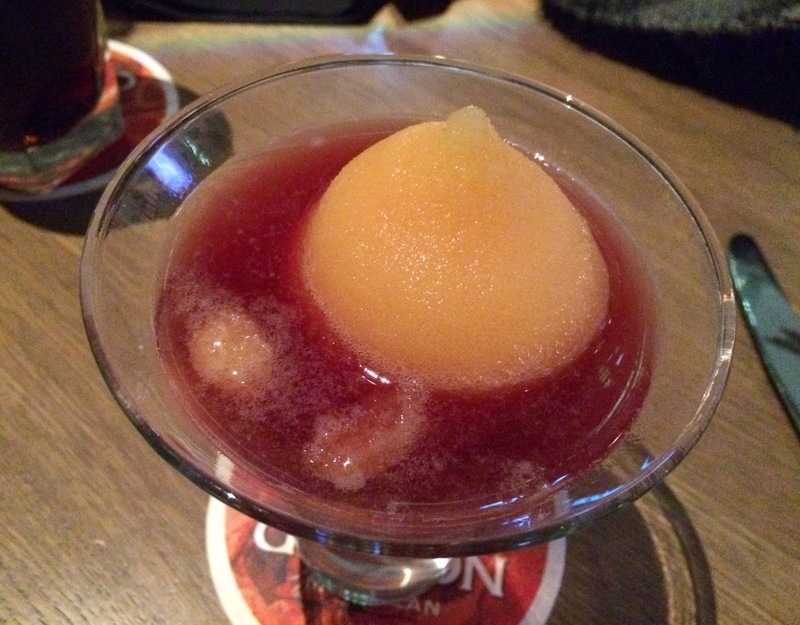 Besides Triple Sec, it contained tequila and frozen citrus, and the red liquid is the strawberry I chose. 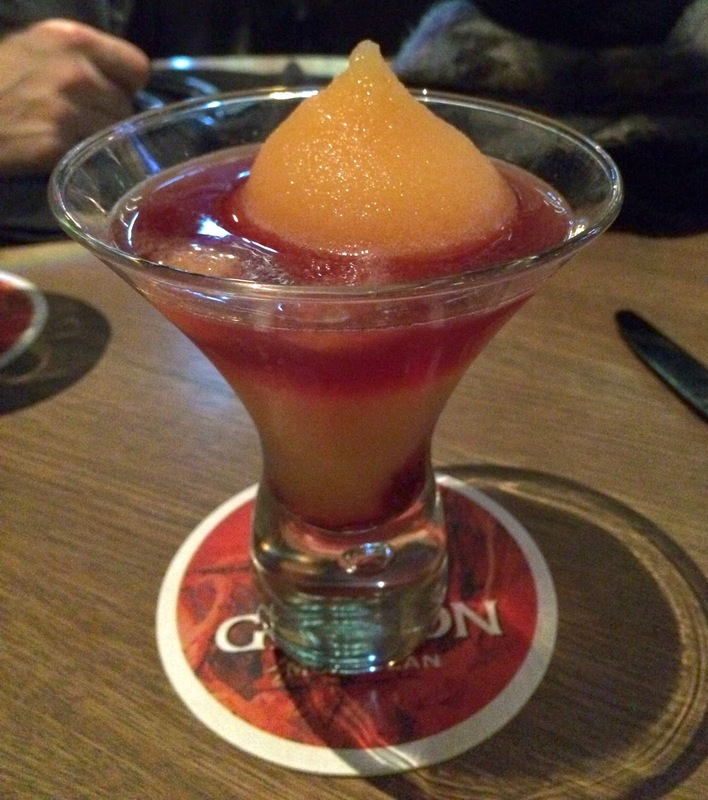 Both red liquid and frozen citrus in the glass tasted alcoholic, but it's very refreshing and tasty. Though, I stopped drinking after sipping 1/3 of it. Both bowl and the plate underneath were warm and I see this warmed-up plates at some nice restaurants, and I thought they sure care their foods also (not only the looks of the employees). The tiled edge of the bowl reminded me of the bowl used at Dunn's Famous. 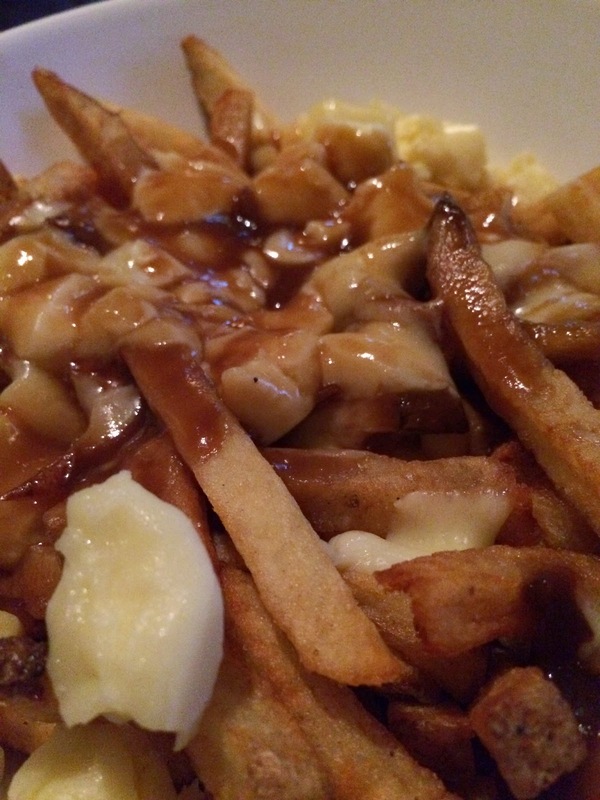 Medium-thick fries were lightly browned and crispy. The gravy sauce was sweet, not bitter and had a hint of saltiness in the end. 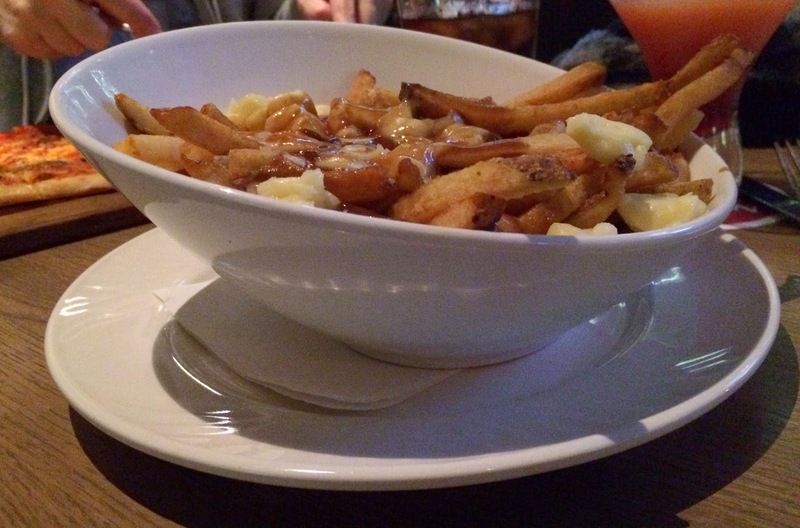 Not much squeaky cheese curds were put a lot in the bowl and the ratio with fries were almost half and half. Most of the employees was providing kind customer services, including serving foods didn't take them too long and coming back to check on the foods, and I enjoyed their dishes.